Experience the exciting world of water sports with the best summer camp team on the Chesapeake Bay! 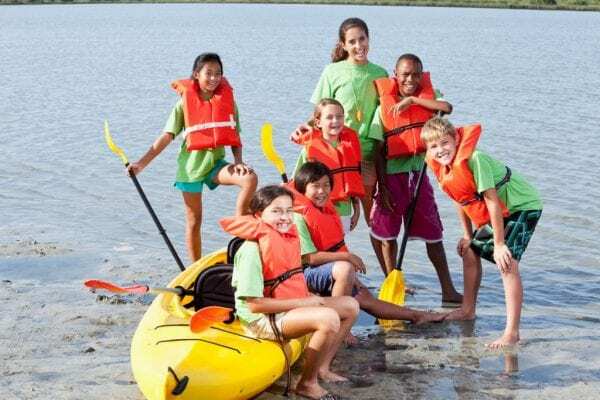 Campers will develop a passion for the water at one of the finest water sports facilities in the country and experience everything the Chesapeake has to offer, from quiet water lagoons to pristine water trails to the open bay. This week-long camp offers a variety of water sports education and FUN including Paddling Adventure Tours, Kayak Challenges, Swimming, Team Building, Paddle Board Hockey, Sailing Experiences, and Boating Safety. There is no other summer camp like this anywhere! For ages 9-16. Camp is $325 per week. You can attend multiple weeks. Camp Runs from 10am – 3pm. If you need to have a later pickup, you can add the after care option. Make sure to add it on when registering. Aftercare is $75 per week or $20 per day. Daily rates can be handled the day of care.